Okay, another slight delay in news but it is time for a post I've been meaning to do for a while. So in ‘Foilborne’ news I had the privilege of sailing on Hydroptere at the end of last year, upping my personal best speed to 43 knots! It was an awesome afternoon cruising round San Francisco Bay with Alain Thebault and his team. 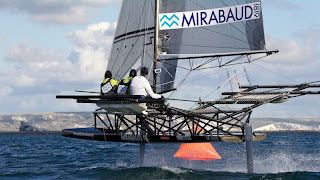 They were the fastest sailboat in the world, before Paul Larson smashed the outright record in such impressive style. 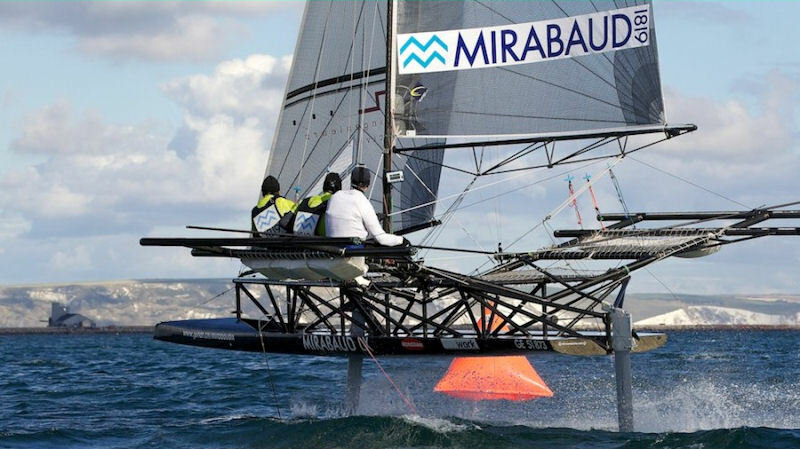 Back in 2010 I got to sail on Mirabaud during Weymouth speed week, so my collection of cool foilers sailed on is getting impressive.